Just in time for Christmas, we have prepared a special surprise for you: At Lottoland, Europe's biggest jackpot is waiting for a lucky winner. 250 million euros will be up for grabs on Sunday December 10th from our WorldMillions Special Jackpot. This European record-smashing lottery is a one-time offer, so don't delay and get over to WorldMillions today to place your bet. WorldMillions is the twice-weekly jackpot draw which can exclusively be found at Lottoland. Every Thursday the jackpot stands at €50 million, and on Sundays this goes up to a guaranteed €100 million. Now here at Lottoland we are entering into the Christmas spirit to bump that jackpot up even higher, to bring you the first ever WorldMillions special jackpot worth an incredible €250 million! €250 million is a higher sum than any European lottery can ever offer. No other European lottery out there can even come close to our WorldMillions special jackpot! The European jackpot record to date has been held by EuroMillions. The most popular multi-state lottery in Europe has a handsome maximum jackpot of €190 million euros to offer, which is certainly not to be sneezed at. In the history of the EuroMillions lottery, the maximum pot has so far been won three times, most recently in October of this year. 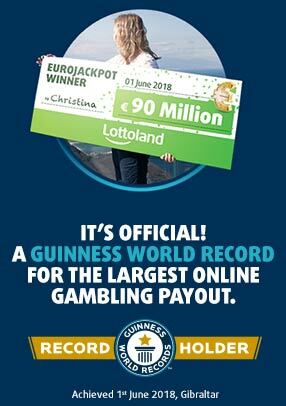 However, this impressive amount quite simply can't compete with the WorldMillions special jackpot. As can quickly be seen by a glance at the top 10 biggest jackpots in Europe, (see below), no other European lottery can touch it either. Only the SuperEnalotto from Italy can even break into the top ten, making it to a rather distant ninth place in the ranking. World Millions or El Gordo? Right about now you're probably wondering where the Spanish Christmas Lottery will end up in this list of the biggest jackpots. One thing to make clear: "El Gordo" is and remains the largest lottery in the world. With a total prize pool of €2.38 billion euros, this is not even in doubt. In the first prize tier of the Spanish Christmas Lottery a total of 680 million euros are paid out, and the probability of hitting the main prize is a truly excellent 1 to 100,000. However, even when you bet on a full share of El Gordo, the jackpot win will only amount to €4 million. Okay, so perhaps 'only' is not the best word to use here, but it does pale in comparison to our WorldMillions jackpot! The WorldMillions jackpot of €250 million is truly in a league of its own, however. The lucky numbers for our WorldMillions Special Jackpot will be determined on Sunday, December 10, 2017. You'll be able to bet on the draw until 6pm on Sunday, and then by 8pm Sunday at the latest, the official results will be published here on the site. 6. Wait for the results! Of course, to increase your chances of winning you can bet as many times as you want. Fancy a Holiday Worth €10,000? If you are looking for another reason to bet on the WorldMillions draw, then maybe the holiday of your dreams might act as an incentive? Well any time that you make a bet on WorldMillions from 30th November 2017 to the 14th of January 2018 you will be automatically entered into a prize draw. The top prize is a dream holiday worth a very generous €10,000 - not a bad way to start off the new year! The winner gets to choose between taking the holiday or the cash, so you could use the money for anything you want. A 1/10th bet will get you one entry to the prize draw, while a full bet is worth ten entries. Check here for the full terms and conditions. 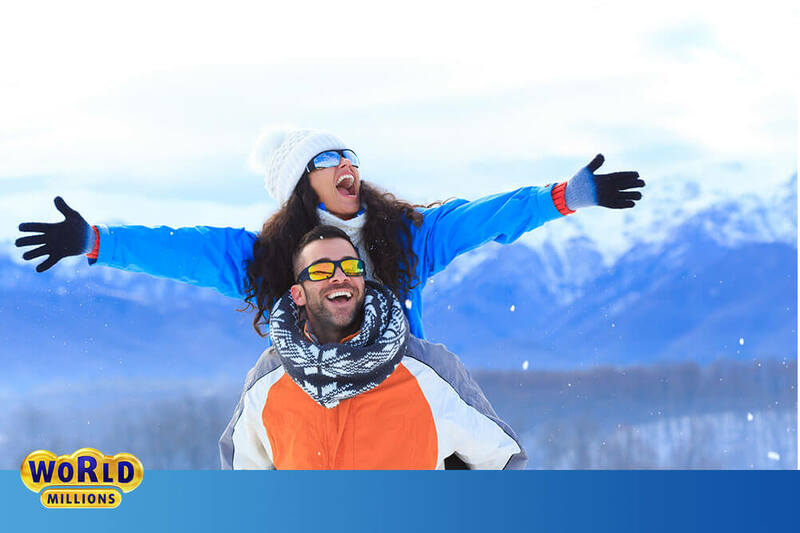 Even though the special jackpot of € 250 million will be available on Sunday, December 10th, 2017 alone, every week there will be twice the chance to become a multi-millionaire with WorldMillions. The draws not only stand comparison with the highest jackpots in Europe, also the chances of winning is a whole lot better. To illustrate: the probability of hitting the WorldMillions jackpot is exactly 1 to 100 million. By comparison, the chances of hitting the EuroMillions jackpot are about 1 to 140 million. In the following video, we summarise once again how a regular WorldMillions draw works. As we said, the WorldMillions draw offers incredible millions of winnings up for grabs every single week - and that's guaranteed! But if you are looking for a very special jackpot this week, you should not miss the chance to win the biggest jackpot in Europe! Place your bet for WorldMillions today, and by Sunday you might just have 250 million reasons to be glad that you did!